There is a professional Basketball team in Mazatlán called the Venados. They play in the Pacific Coast Basketball Circuit (Circuito de Baloncesto de la Costa del Pacífico) which is a small league which plays from April to mid-June with playoffs following. The Venados play in the Centro De Usos Multiples. Originally, the basketball team was called the Nauticos, but were purchased by the owners of the Mazatlán Venados Baseball team after the 2018 season. From now on, they will be called the Venados. The Mazatlán Nauticos finished 6th in the league in 2018, losing in the semi-finals of the playoffs to Tijuana who won the league. The 2019 season for the Venados starts on March 29, 2019 in Culiacan. The first home game is the following night, March 30, 2019. For 2019, the Guasave Frayles moved to Jalisco, Novolato Garra Cañera moved to Culiacan, Durango Aquilas Doradas (Golden Eagles) have shut down and La Paz is a new team. The draft will be held on February 8, 2019. The Mazatlán Nauticos were the champions of the league in 2016! What is the 2019 schedule for the Mazatlán Venados Basketball team? How to buy tickets to a Mazatlán Venados Basketball game? How much do season tickets to the Mazatlán Venados Basketball season cost? What is the Basketball team in Mazatlán called? The Mazatlán Basketball team is called the Venados. Up until 2019, the team was called the Nauticos. What league does the Mazatlán Basketball team play in? 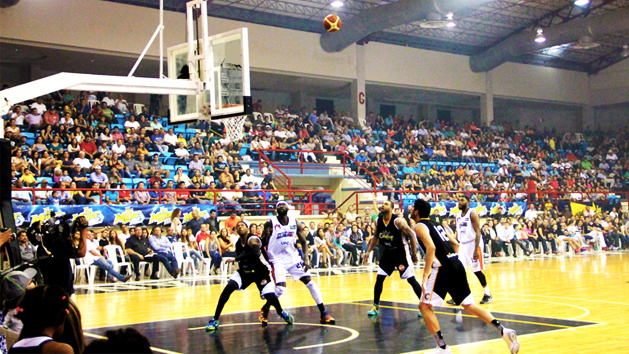 The Venados play in the Pacific Coast Basketball Circuit (Circuito de Baloncesto de la Costa del Pacífico)(CIBACOPA). How good is the Basketball? Where does the Mazatlán Basketball team play? The Mazatlán Venados Basketball team plays in the Centro De Usos Multiples Mazatlan(C.U.M.) which is in the Marina Mazatlán area of Mazatlán. It is a 7000 seat facility.